The face of travel is continuously changing. Gone are the days when people only traveled in pairs or groups. 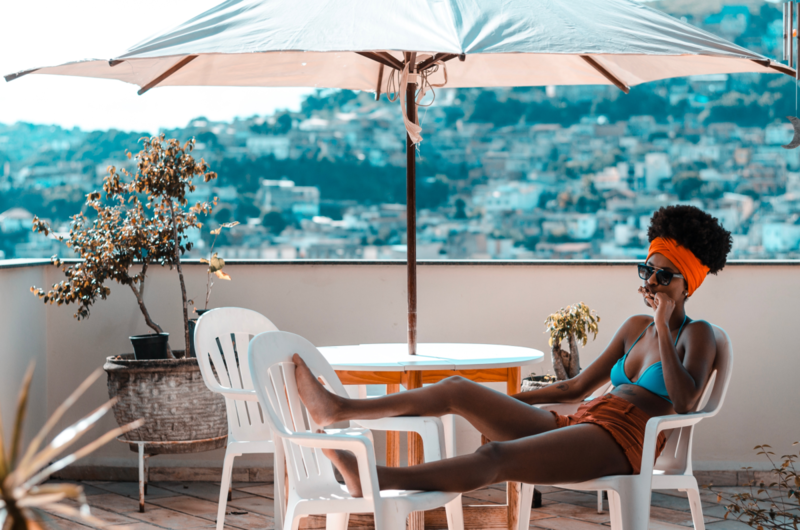 Women traveling alone, especially women of color, has added another flavor to the travel industry. This phenomenon started for assorted reasons. Some stumbled into it by no choice of their own when their travel plans with others didn’t work out. They were faced with two options: lose their money and forfeit the vacation or go it alone. Then there are the women like myself who became tired of waiting for others. I realized if I wanted to see the world I’d have to make it happen on my own and not wait for others to make it happen for me. Initially, traveling solo can be intimidating and unnerving. However, like all new adventures, it takes time to become comfortable with solo traveling and learning how to put your own spin on it. The most important aspect is you must be comfortable with yourself and enjoy your own company. Seems simple, but there are so many women who will not do anything leisurely without someone else. If traveling solo is something that piques your interest, but you lack the courage and confidence, start with baby steps. Eat lunch or dinner alone in a restaurant. Many people struggle with this because they think everyone is watching them and wondering why they are alone. This type of setting will help you become more comfortable being alone in public places. Go someplace where you are alone but can still mingle and socialize with others like a museum or an amusement park. You went there alone, but there are plenty of opportunities to meet and interact with others. Make your first solo trip a place close to home. For example, if you live in Queens, New York, consider staying in a hotel in Manhattan or another borough for the weekend. Go Cruising – Cruising is a great solo travel adventure because the only time you have to be alone is when you are in your cabin. All the activities on the ships are geared towards group participation, even eating in the dining rooms. Head To The Big Easy – New Orleans is a wonderful place to visit solo. The Louisiana city is known for Mardi Gras, but there is always fun and entertainment the entire year. The cultural blend gives it a unique flavor which is seen in its communities, art, and food. Visit The Pacific North West – Seattle, Washington is another city that is known for its diverse culture and food. In addition, street entertainers are a regular and will keep you entertained as you venture out for your morning coffee. Fly Across The Pond – Paris and Barcelona are two nice international travel destinations. The people are friendly and very helpful to tourists. Their transportation systems are easy to understand and navigate. With all the tourist activities you will not be bored or feel like you are alone. Traveling solo does not have to be a frightening experience. As with all new adventures, your attitude makes or breaks any experience. Solo traveling can be a great adventure. Ora Cook is a coach, blogger, and inspirational speaker devoted to helping women restore their confidence and fulfill their purpose. She encourages women to travel for therapeutic and recreational purposes and offers the knowledge they need to do so. Want To Keep The Momentum After Midterm Elections? Consider This. Solo is my favorite way to travel and your tips are spot on. I can also recommend Houston, Vegas, Memphis, and Louisville as “solo-able” domestic destinations. Happy travels! Right?! So fun. Houston and Vegas are on my list! Reading this article helps reassure me that traveling alone is not such a scary thing. I’ve never traveled solo, but it sounds like a blast!